It looks like a slightly more aggressive A7. Audi and camouflage are apparently fighting an unseen battle in the shadows because new spy photos show another upcoming model from Ingolstadt, Germany automaker undisguised. And it’s not the first time we’ve seen it uncovered. New photos show the new S7 without any camouflage whatsoever. These pictures come just days after we saw the S6 undisguised. While we get to see the S7 in all its glory, there are still many details we just don’t know. Again, the set of quadruple exhaust pipes that really give the S7 away as being something more than your standard A7. The front receives a more aggressive fascia with more prominent intakes on the side. The grille is packed with with sensors. The S7 is otherwise your standard, understated A7. We haven’t seen the inside yet, and the latest batch of photos don’t get close enough. 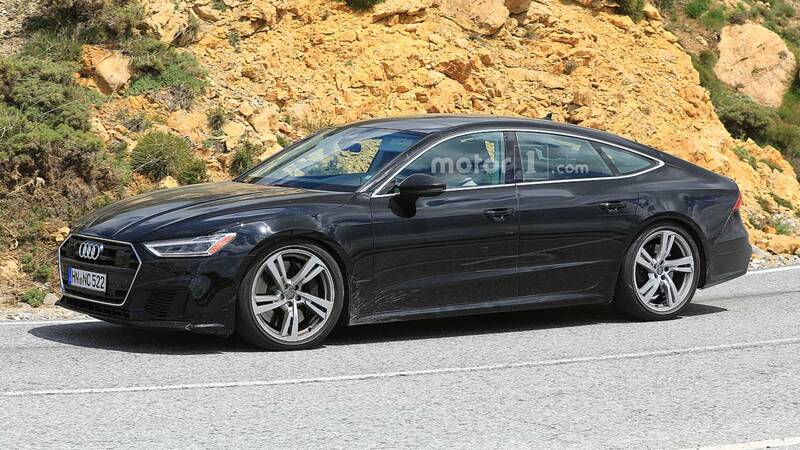 However, we can expect the interior to be relatively similar to the one in the A7, with some unique badging and more aggressively bolstered seats. What we still don’t know is what the powertrain in the S7 will be. There are still rumors about it being one of two possibilities – a 2.9-liter biturbo V6 or a 4.0-liter V8. Those are widely different engines. The V6, which would come from the Porsche Panamera 4S, produces 440 horsepower (328 kilowatts). 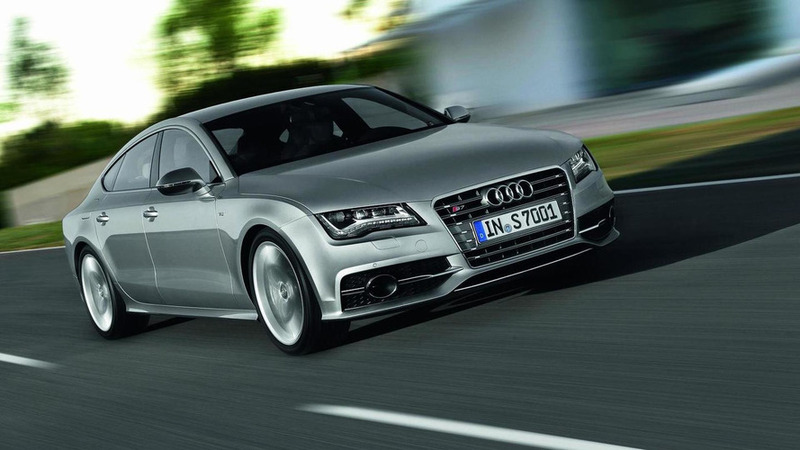 This would give the S7 a sprint from zero to 60 miles per hour (98 kilometers per hour) in about 4.5 seconds. The same engine in the RS5 produces 450 hp. The V8, on the other hand, would produce 460 hp (343 kW). That’s a small difference in performance.